At TrainingPeaks, we believe that training and racing data plays a critical role in your success as an athlete or coach. Part of that mission is to make it easy for you to upload your data quickly and conveniently. 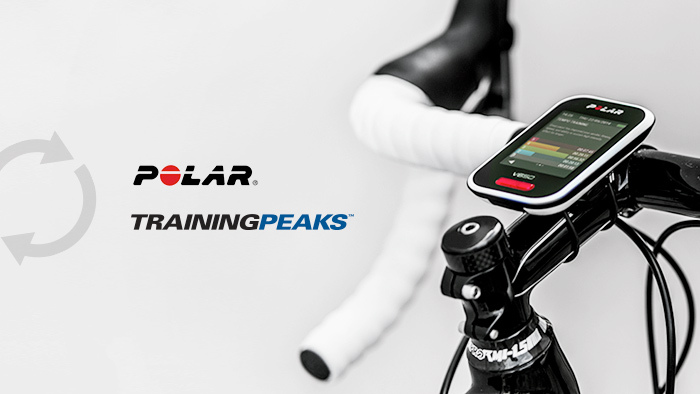 We are happy to announce that TrainingPeaks is now compatible with Polar Flow and a variety of Polar’s latest connected products. This new feature makes it easier than ever for Polar users to get their valuable data to their TrainingPeaks account. Simple and easy to use, Polar athletes can automatically sync their data to their TrainingPeaks account. After performing a one-time account sync, data tracked with a Polar device is automatically transferred from Polar Flow to TrainingPeaks.